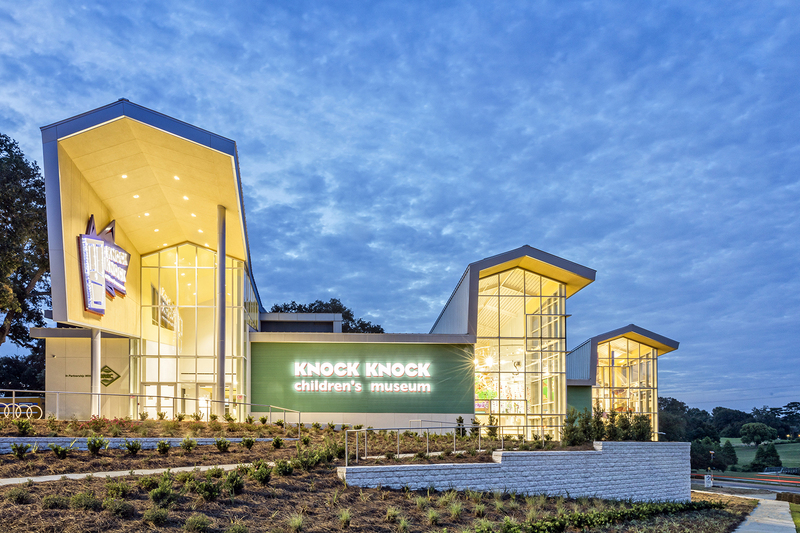 Constructed on a hill overlooking City Park, the Knock Knock Childrenís Museum has over 26,000 square feet of space for administrative office space and 18 creative learning zones. Designed by Remson, Haley & Herpin Architects, the museum was constructed by MD Descant Contractors. 1220 Exhibits fabricated the interior exhibits.